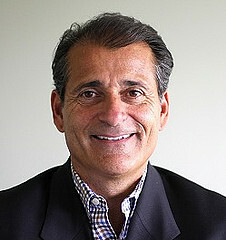 North Andover businessman Frank Magliochetti is managing partner at Parcae Capital Corporation. Parcae Capital provides financial restructuring and interim management to emerging businesses. Parcae Capital offers personalized investment banking services for emerging growth companies. They specialize in finding companies which have leading edge technology, services or intellectual property in the healthcare, media and alternative energy space. Parcae Capital assist both public and private companies in preparing to raise private and public capital for all phases of growth. Parcae Capital also offers comprehensive assistance in mergers, acquisitions and related services. Their work out group specializes in business restructuring and recapitalization. Frank is also the Chairman at Rehab Medical Holdings Incorporated an orthopedic medical device holding company. Frank also participates on the Parcae Capital sponsored Day Trader Picks website. In the past, Frank HAS held positions as Chairman and CEO at Chartwell Diversified Services, SVP at Sandoz, VP of North American Operations for Haemonics and CEO for Worldwide Cardiovascular Division for Kontron Medical.